Hatch Recital Hall is the latest jewel among Eastman’s concert venues. Opened in December 2010 in Eastman’s East Wing, it quickly became a popular concert stage for faculty and student musicians. With 222 seats, Hatch Hall is an ideal size for solo instrumental, chamber and vocal music – a modern complement to Eastman’s historic Kilbourn Hall. 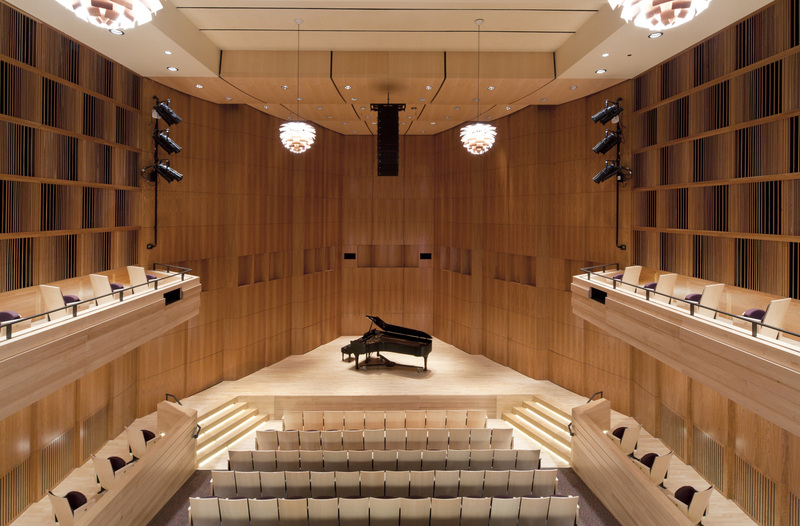 Along with its elegant appearance and outstanding acoustics, the hall boasts state-of-the-art acoustical and multimedia technology – Internet, audio, and video.